The Amish Columbo Dining Table features sleek modern styling. 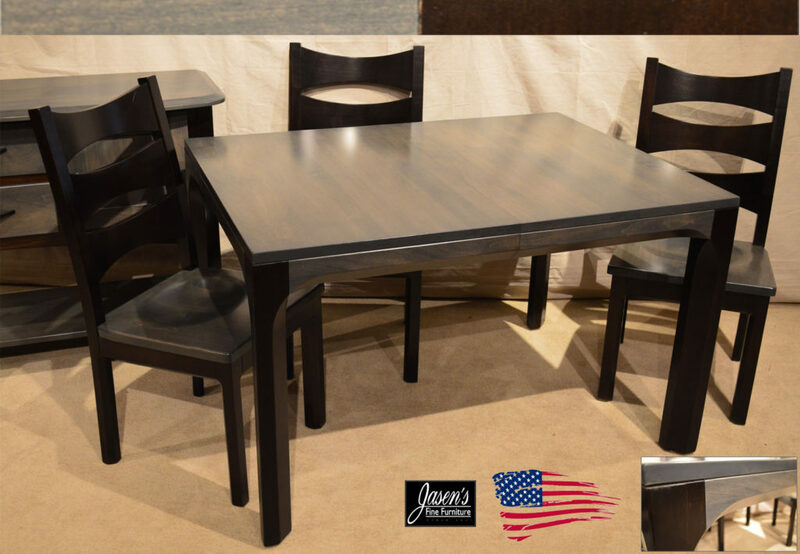 Dining Table features modern, yet edgy gray stain. The grey color is almost blueish to steel color in appearance. A characteristic Most noteworthy is the apron through leg design. The table size is ideal for smaller settings especially a condo. Furthermore, the Chairs feature ladder back style with matching leg through design. 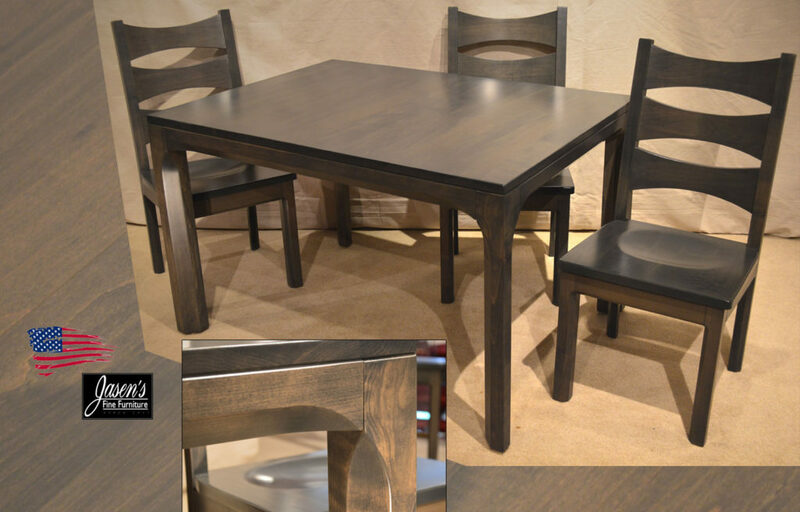 In addition, the Dining set is all custom made to any specifications. Therefore it is Available in any size, wood specie, and stain of your choice. The table and chairs are all Amish, hence Made in USA!